Two men are being sought by police in connection with a killing of an Ilford resident that took place in London on New Year’s Day, the Ilford Recorder newspaper reported recently. With the newspaper’s cooperation, murder detectives released two mugshots of the accused to the public and named them as Nor Hamada and Ossama Hamed. They are sought as suspects in the brutal stabbing murder of nightclub bouncer Tudor Simionov, who was attacked while working at his job guarding the door to a party venue in London’s Park Lane area. A group of outsiders on New Year’s Day attempted to violently gatecrash a party taking place at Fountain House in Park Lane, Mayfair, where Simionov was working at the front door. When the victim and other venue staff attempted to remove the gatecrashers, they were attacked with knives, with Simionov succumbing to his injuries. Four others were injured in the fight, which saw them try to protect partygoers by hurling vases at the intruders during the standoff. Detective Inspector Garry Moncrieff of the Homicide and Major Crime Command, a division of the London Metropolitan police force, said: “Ossama Hamed and Nor Aden Hamada are dangerous individuals who need to be apprehended. I would urge anyone who has seen them, or knows of their whereabouts, to contact police immediately. Police are asking people who may know of the two suspects’ whereabouts or who may have CCTV or mobile footage of the incident to contact their incident room on 101, quoting the incident code 3276/1Jan, or contact the Crimestoppers line anonymously on 0800 555 111. Tudor Simionov was born in Romania but came to the UK for a better life. He was residing in Ilford and had plans to get married and start a family, it was reported. 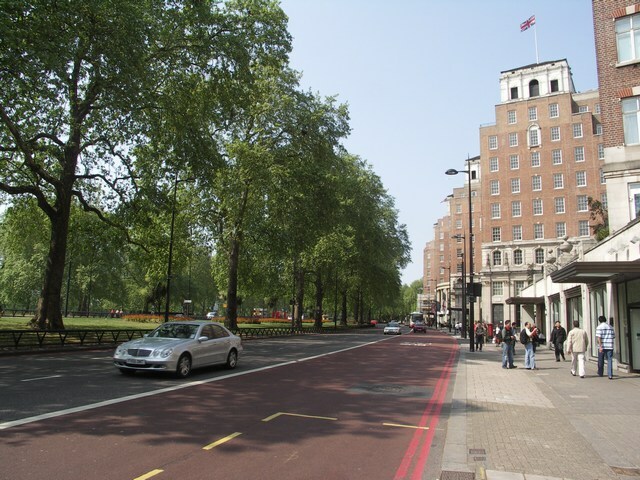 “TQ2880 : Park Lane, Mayfair” – Mike Smith, geograph (28 April 2007) http://www.geograph.org.uk/photo/420019 © Copyright Mike Smith and licensed for reuse under this Creative Commons Licence.